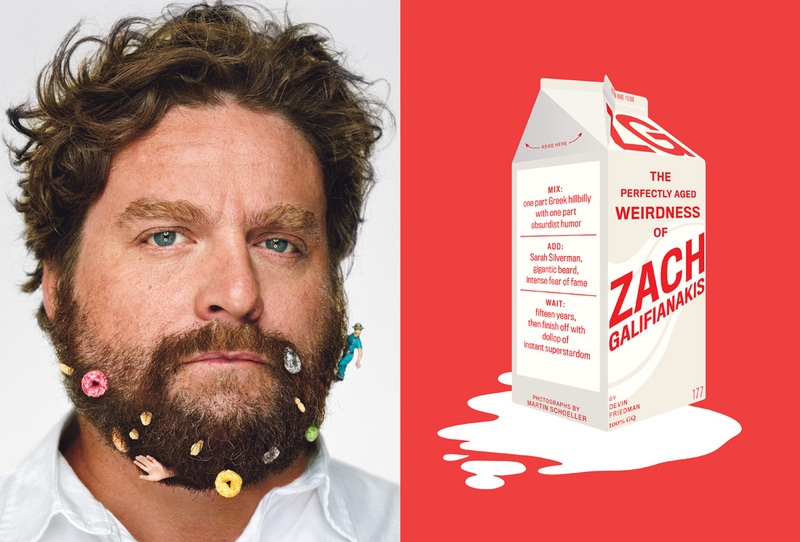 Zach Galafianakis has some Froot Loops tuck in his beard. So, I though, wouldn't he like some milk to go with his Froot Loops? The editor had written the dek to emulate a recipe, so it all fit and the milk carton graphic was put to work.